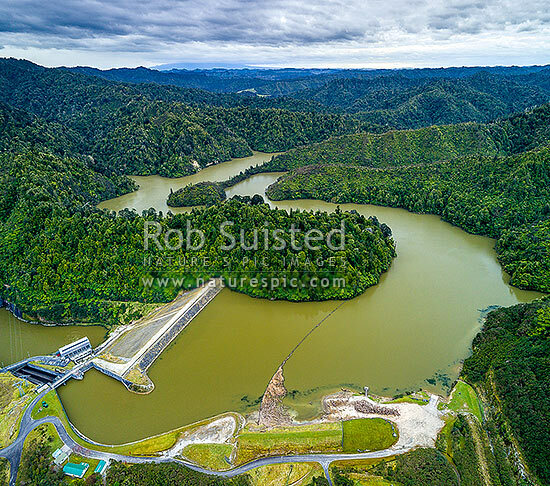 Lake Rotorangi, behind the Patea Dam on the Patea River. A 46km long man made hydro power lake. Aerial view. Tarere Conservation Area forest, Patea, South Taranaki District, Taranaki Region, New Zealand (NZ), stock photo.